Stickerapp Stationery And Giveaway - Sleek For Yourself! 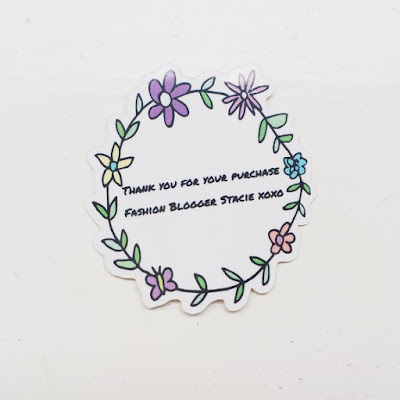 Stickerapp Stationery And Giveaway | Sleek For Yourself! 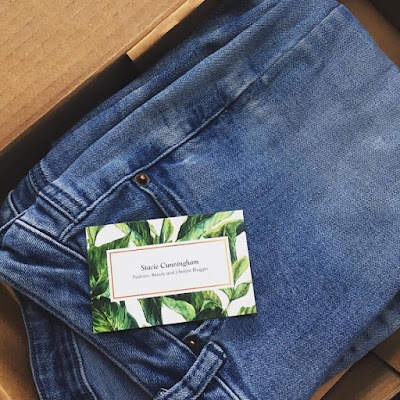 This week I've decided to really put my foot down and put my all into being a GirlBoss. 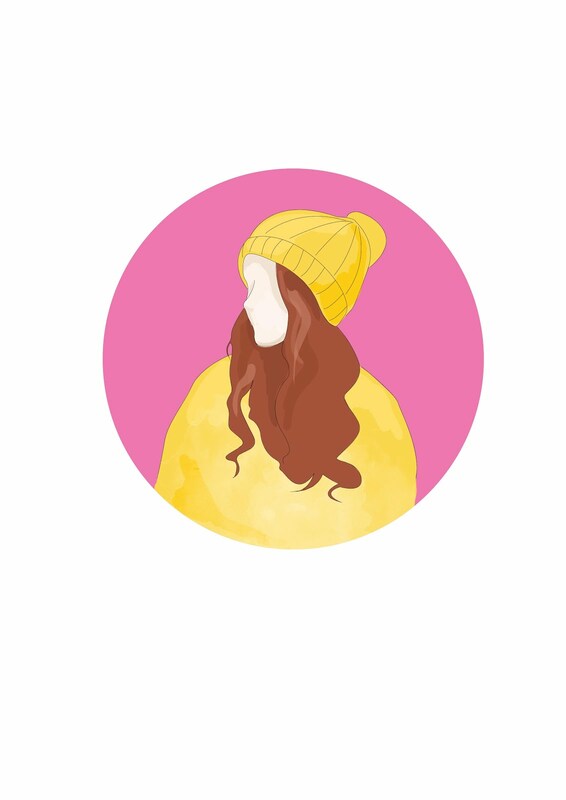 I really feel like I've been back on track with my blogging over the last few months and I've been happy with my content but I want to step it up a notch and start adding bits and bobs that will help me to move forward. Things like setting up a shop on my blog so people can buy my outfits through the click of a button, I want to put more effort into my Depop shop and just add those little touches that make everything seem a bit more professional. I was overjoyed when StickerApp got in touch and asked if I would like to try out their products! PS: KEEP READING AS THERE IS A GIVEAWAY! 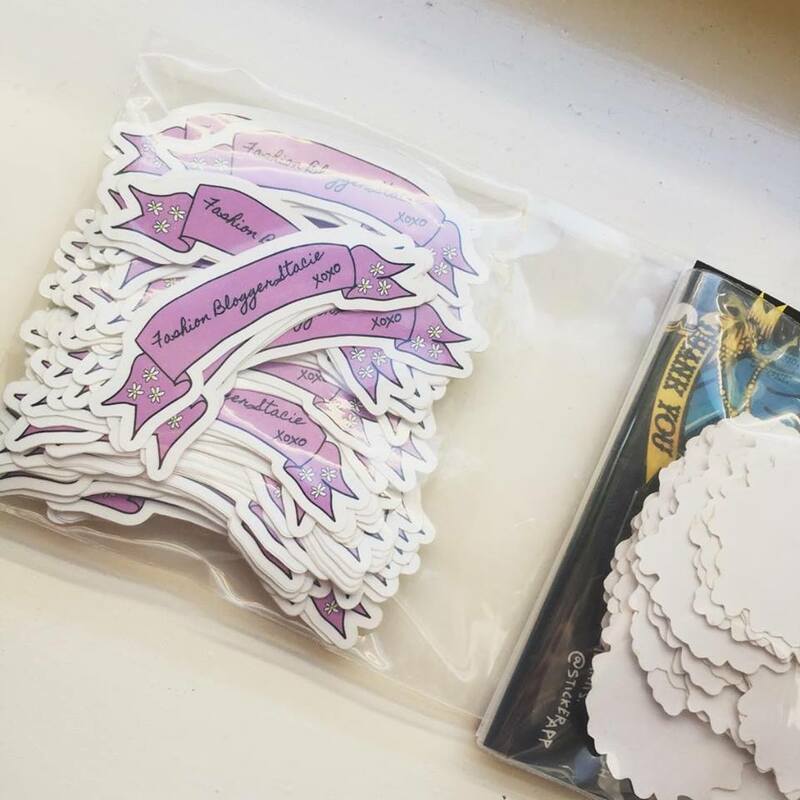 StickerApp are a company who print your custom design stickers! That's right, you completely come up with your own design! Whatever you want! 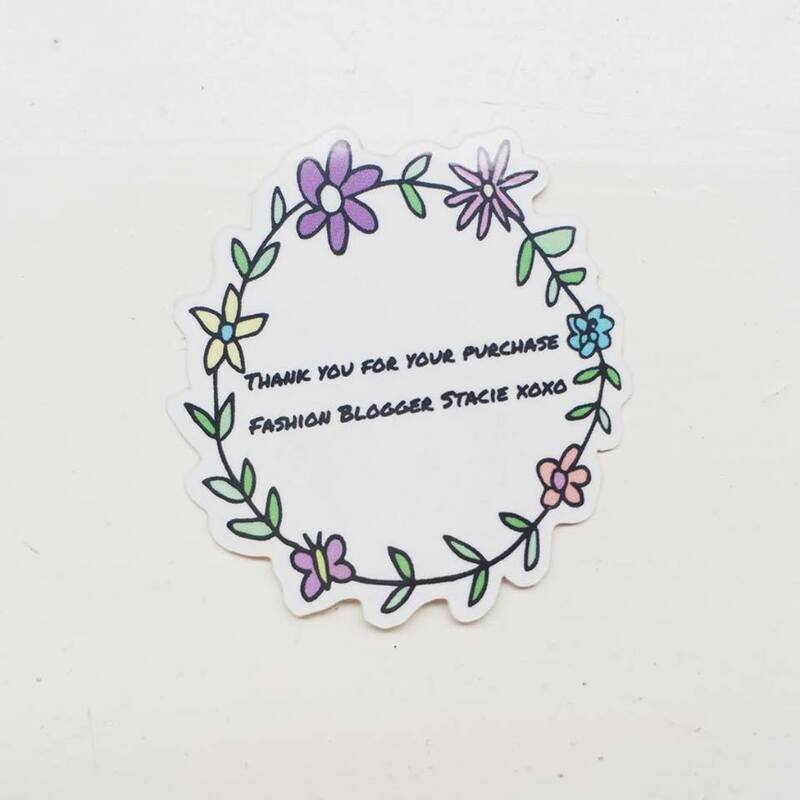 This makes it so so handy for businesses and I thought it was such a great idea for us bloggers too! 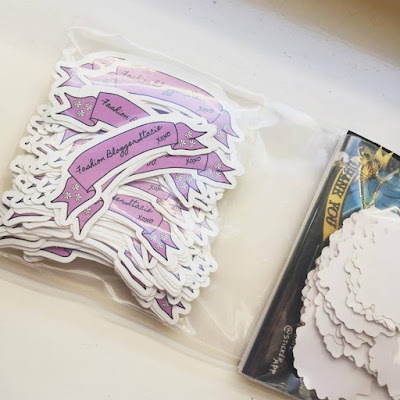 You might be thinking...why would a blogger need stickers? Well...we might not NEED them but they add such cute finishing touches. 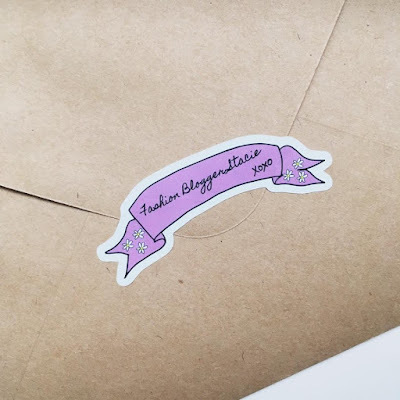 As a blogger there is a lot of emailing back and forth but sometimes I like to throw it back a bit and write handwritten letters to thank the companies that I have worked with and so having stickers to add to the bottom of the letter is a really cute way to sign off your letter or even use the stickers to seal your envelope! As I mentioned, I run a Depop shop. So it's also super handy for that. So when you go onto the StickerApp website you have a choice of a shape such as a circle, square or custom where it will just outline whatever shape you want it to be. You can also choose the material so you can have a glossy effect which is what I went for or a matte effect or even metallic, there is so much to choose from. It then takes you to a page where you can get super creative. 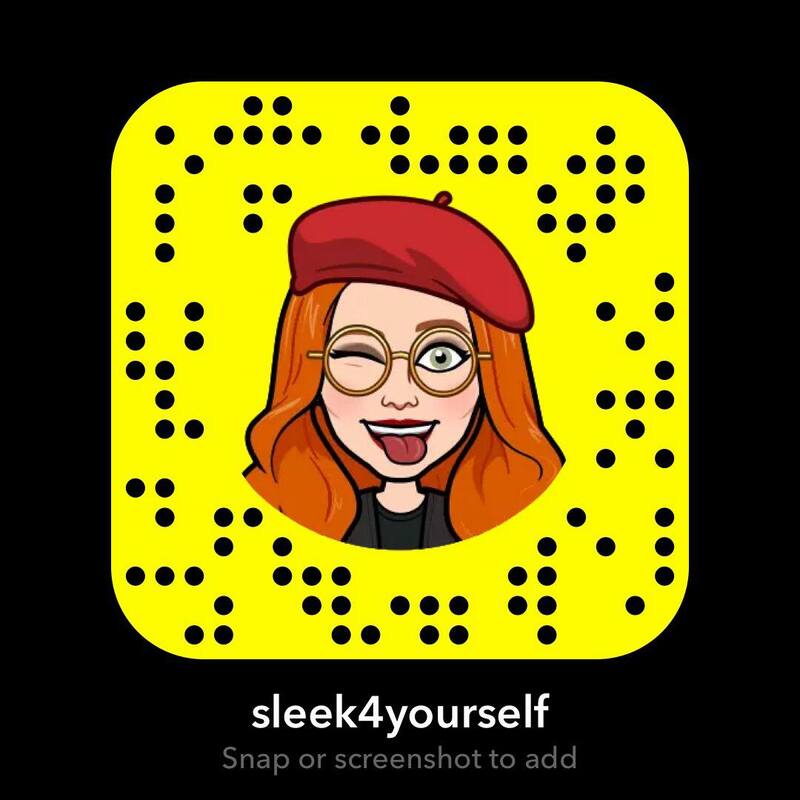 You can upload your own photos so if you have a photo that you would like to turn into a sticker then you can have fun with that. This might even be great for funny gifts where you can just print your friends ugliest selfies! You could even upload your business logo if you have one and then you can adjust the size to whatever you require. I personally didn't have a particular photo or design that I wanted so I decided to browse through their clip art designs which you can edit to make your own. 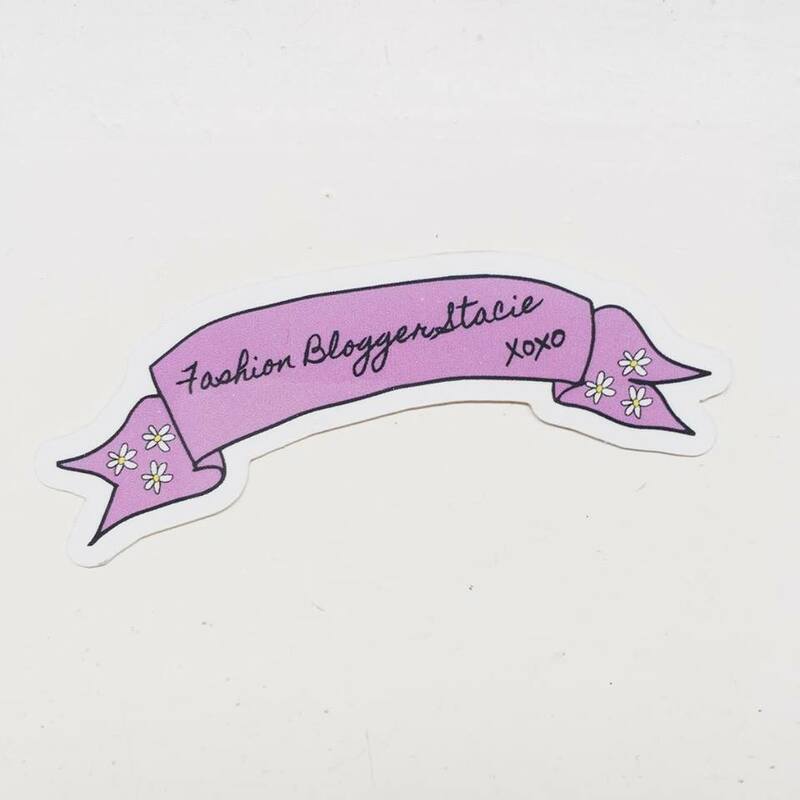 I found a super cute pink banner and I thought that would be sweet for putting at the top of letters or as I said, signing off a letter with my blog name. I chose my favourite font, again, lots to choose from! I added a little xoxo, which is how I used to end all my blog posts! And then just to spice it up a bit I thought I would add some cute daisies. It didn't take long to come up with the design and it was a nice simple and fun process. I went for the smallest size as I didn't want it to drown the letter. I decided I wanted another design for the back of my Depop parcels. Whenever I send out a Depop parcel I always like to make sure they are packaged nicely so I use brown kraft paper, write in my neatest handwriting and include my business card. 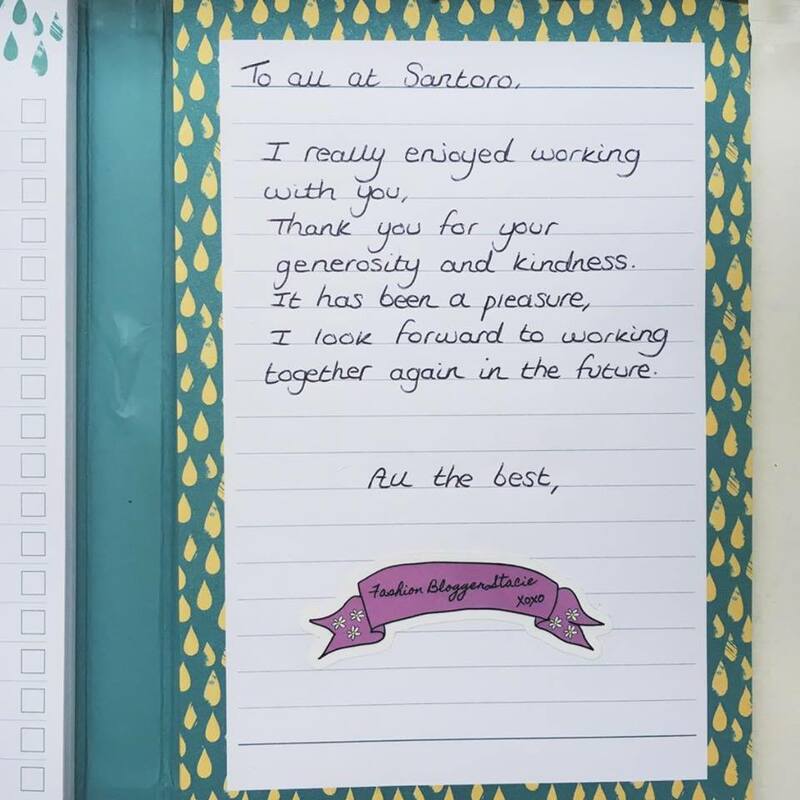 I then write a little handwritten note thanking them for their purchase. I figured that having that on a sticker would look much more professional and cute! I thought this was a simple yet sweet design and I was very happy with it. I again chose the smallest size. I ordered them straight away and within a week they had arrived. They are sooooo cute. Amazing quality, nice and glossy and exactly what I wanted. They came packaged well and in little seal-able bags so you can keep them all together securely. Small pieces like this can be misplaced easily so the little addition of a seal-able bag helps a lot! They were a bit smaller than I realised but that's my own fault for not looking at the measurements but they are not TOO small. The banner ones are the perfect size. 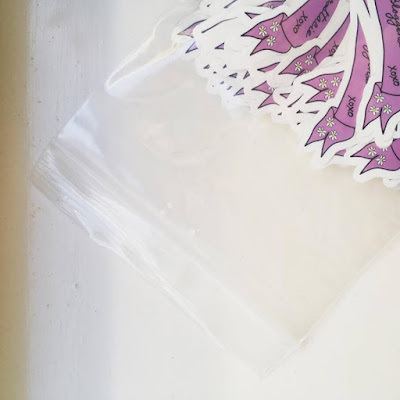 It's only the Depop stickers that I would have made slightly bigger, only for the font. 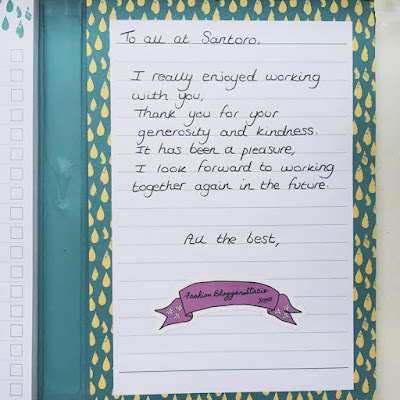 It's a bit difficult to read from afar but still readable! 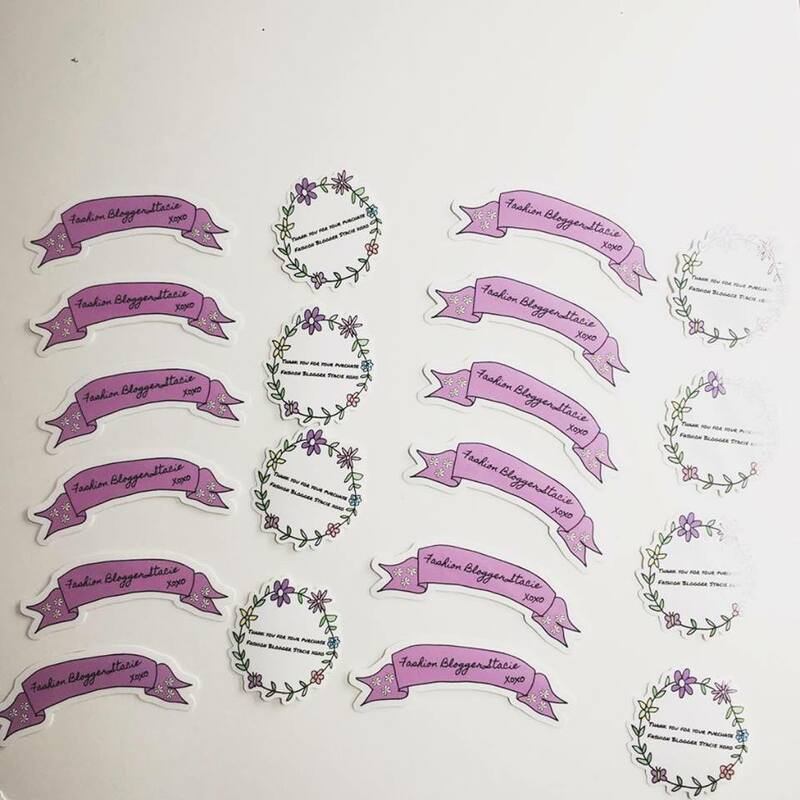 I'm really excited now to sell something on Depop to try out my new stickers! 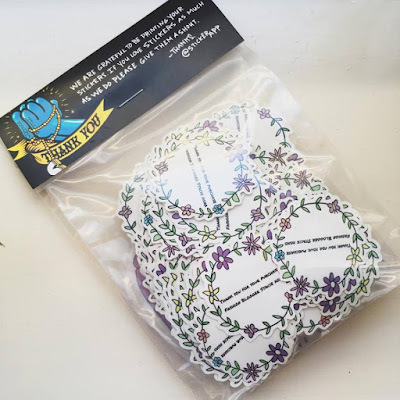 I tried them out by sticking them on my laptop and they peel really easily, you can feel that there is no way they would rip so they are not flimsy and they stick down smoothly without bubbling, and they won't lift at the sides or anything. However if for whatever reason you do need to peel them off, they will come off in one piece. These stickers could be used for fun or for business and you really can get super creative with it and it's so simple and straight forward. It would be great for couples planning their wedding too! You could use the stickers on cute jars for centrepieces! 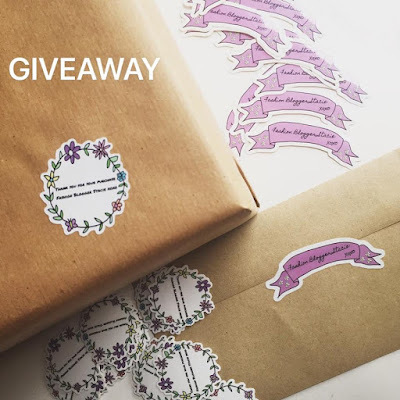 I am giving away a £25 voucher for one of you lucky readers to create your own design and receive your own stickers, completely free! They also have their own designs to choose from if you don't have an artistic flare! 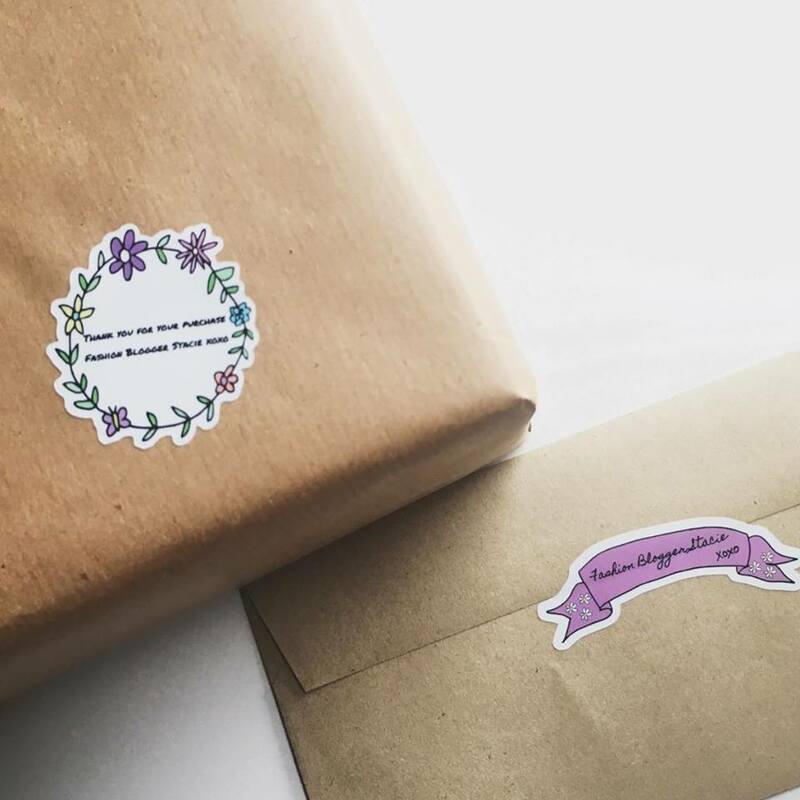 If you think you would struggle to come up with a design StickerApp have a whole load of amazing inspiration on their Instagram @stickerappinspo so you can get some ideas there! If any fellow bloggers or stationery addicts are reading this you might want to enter as it could be really handy for you. To enter all you have to do is follow me and StickerApp on Instagram and then comment on my last post saying you have done it. That's it and you'll be automatically entered. The giveaway is open worldwide and I will be announcing the winner on Saturday the 21st of October so you have a whole week to enter! You can follow StickerApp here. Can't wait to see who wins and their finished design! Disclaimer: I was sent these stickers free of charge in exchange for a review. StickerApp are hosting the giveaway so I have not paid for the winning voucher code. StickerApp will supply that to the winner. I am not making any money from this collaboration. All opinions, words and photos are my own. These are really nice! I need to make my own stickers! That's a nice product. Love it. Wish you the best Stacie. -Dominique 3cstyle.com Instagram: 3cstyle_fashion Come an have a look. We do have a lot in common. The first area for a mini overhaul is to Pinoy Tv HD Videos look at your wall; are they looking tired or is there wallpaper trying to escape from the wall, is there little scratches that make it look untidy. Sutherland and Varda will be joined by African-American indie film director Charles Burnett and cinematographer Owen Roizman in receiving honorary Oscars at a ceremony in Los Angeles in November, the Academy of Pinoy Channel HD Video Picture Arts and Sciences said in statement. For those that don't normally watch Japanese dramas the humor involved in some dramas may seem rather weird or misunderstood. As in any culture, there are some things that can only be expressed in their particular language and not the Watch Pinoy Tv HD Video one we know. Japanese dramas are as diverse as Japan's culture. Dench, who won an Oscar for her role in "Shakespeare in Love" and was nominated for Academy Awards six other times, said unlike in theatre, where you can adjust with each performance, in films you get only one Pinoy TV LIve Network. Is it the throwback to a forgotten time when things were simpler, when everyone knew their place and communities were close knit affairs, not Pinoy TV New Videos chat sites that saw people be best friends with people they had never even met. These type of movies stand in contrast to action films that show the fast-paced action and physical conflict with the help of superficial characters. Almost all films have dramatic element in them, but the drama films typically focus on the Pinoy TV HD Video of the main issue.